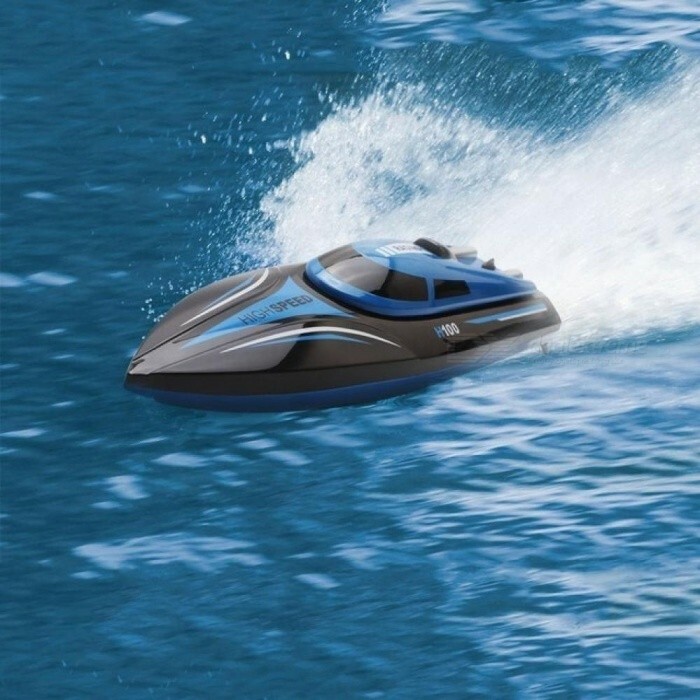 This is a high speed racing remote control boat! 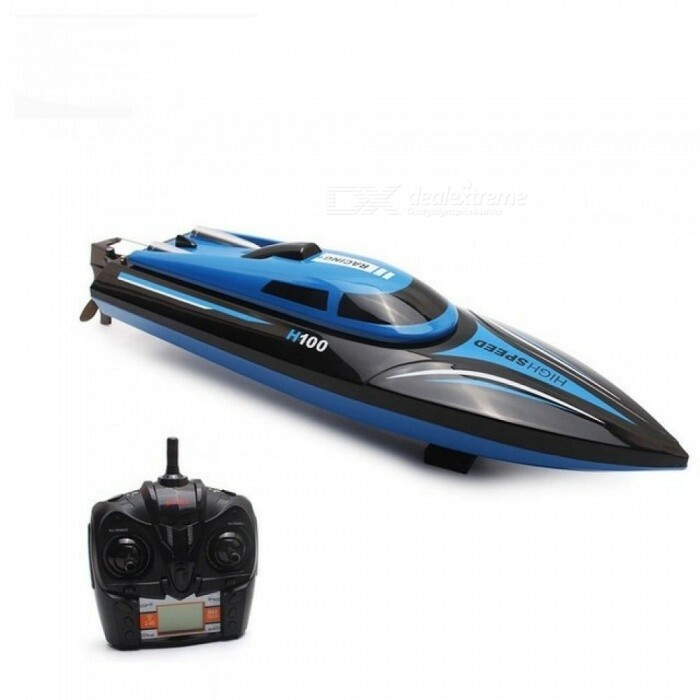 Up to 30km/h speed gives you an exciting feeling on playing a RC toy! 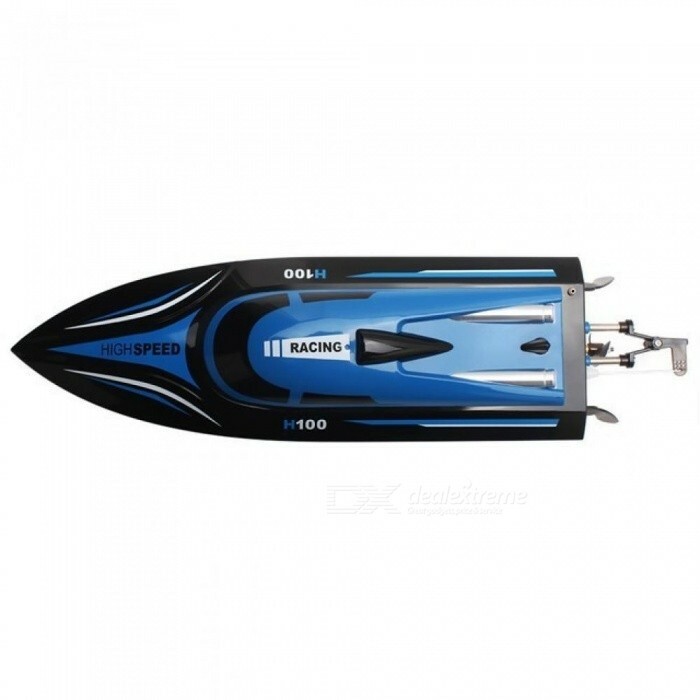 Automatically flipping means that it can do 180 degree turnover action when it capsizes. The transmitter is given the left / right hand throttle switch function, you can switch the throttle mode between mode 1 and 2 freely, which is considering convenience of both left-handed and right-handed. With LCD screen on the transmitter, you are supposed to read the relative data directly. 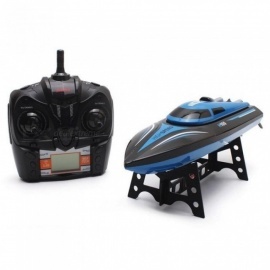 Cool design and simple operations make it a nice gift for friend and RC toys fan! Perfect for beginners and RC toy collectors. The brand logo on the remote control is printed randomly.